The cuckoo is still being heard around the wood, and the red kite has been spotted above the trees. 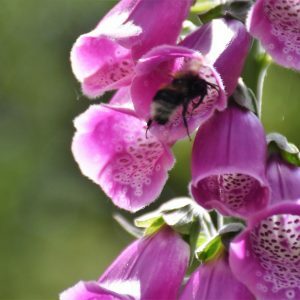 everything is so busy now, the bees are loving the newly opened foxgloves and the growth of all the plants and trees is so noticeable. 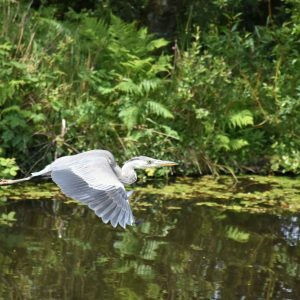 A young heron was spotted today eating the tadpoles at the pools edge, happily the tadpoles are changing and the froglets are out in the grass, which all of the grandchildren have enjoyed searching for.